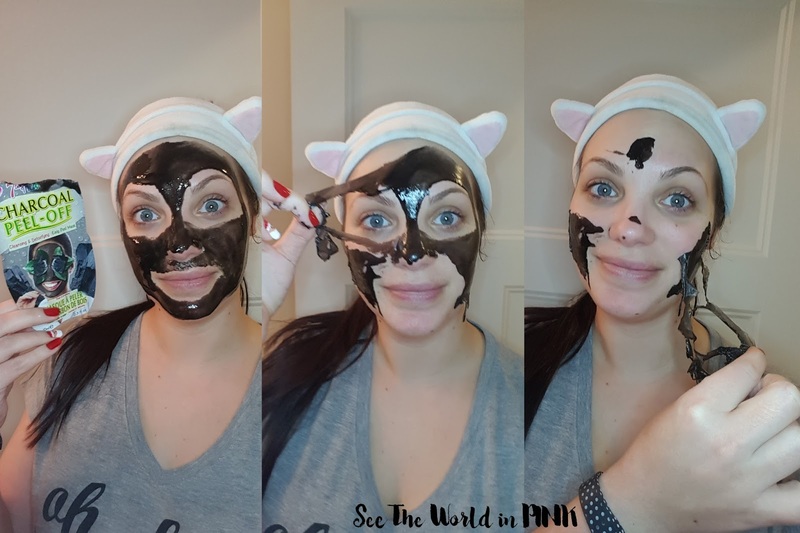 This mask is easy to use (if not a little messy): wash face, apply mask (this is a little messy, but not too bad if you squeeze it out of the pouch slowly), allow to dry on face for 20-25 minutes, and then peel off! This mask actually went on fairly easy for a really liquidy mask. I applied the whole pouch so it was quite a thick layer on my face. I allowed it to dry for about 25 minutes and I really liked that it dried; but, it did not dry down and feel tight at all on the skin! (There was still a couple of spots that weren't fully dry when it was time to peel off! 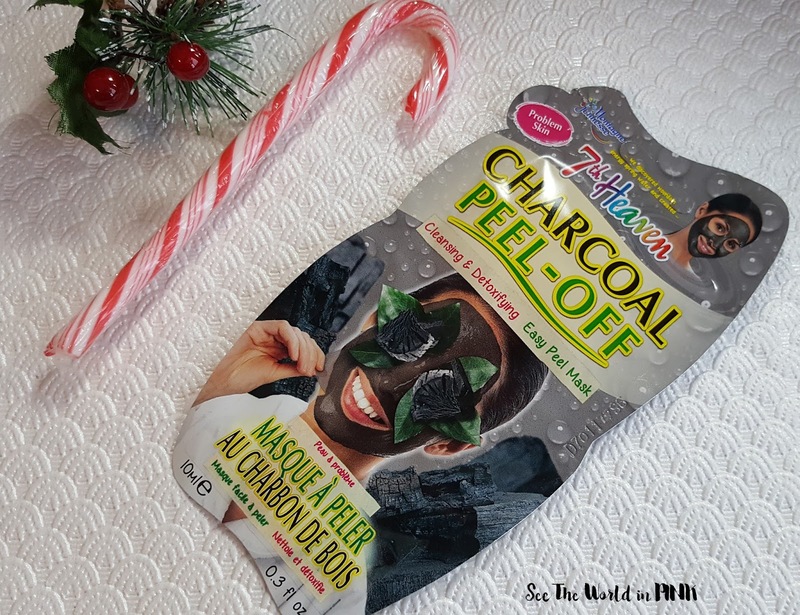 I just lightly lifted up an edge and peeled the mask off - it came off really easily and totally painlessly, which was great! It left my face feeling clean and smooth. The following morning there was a noticeable reduction to a really troubled area on my chin. 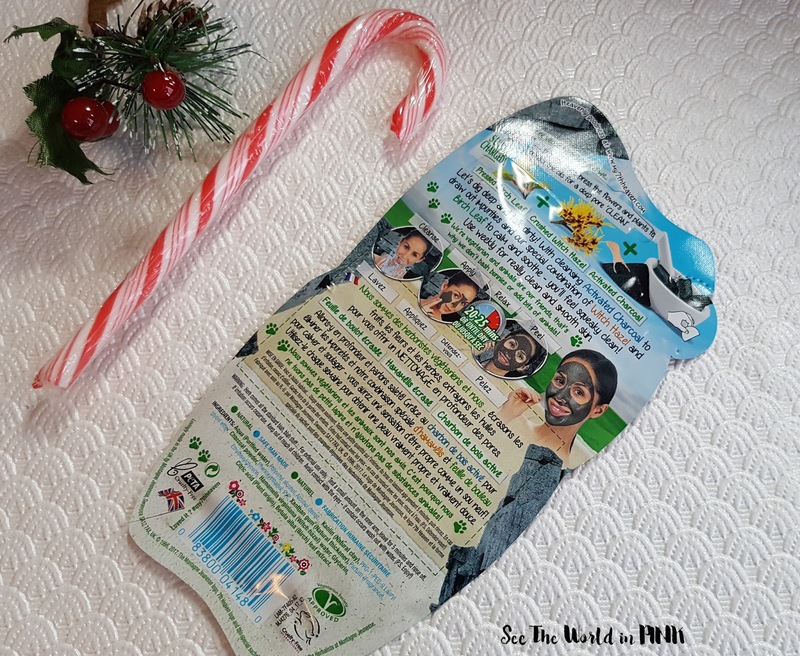 Overall, I really enjoyed this mask and thought it worked well on my skin! 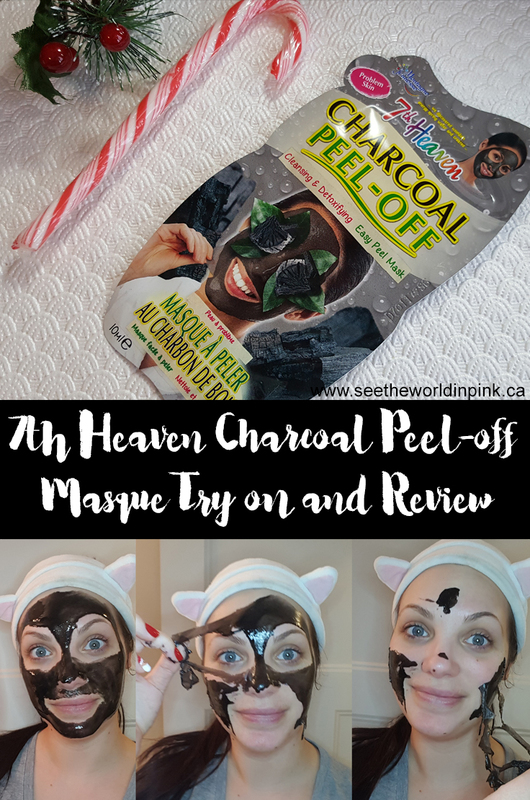 I'm really impressed and 7th Heaven masks are readily available at lots of drug stores and mass retailers!